Under Chaudhry’s leadership, the foundation partners with corporations such as Oracle and Chevron to bring technology and entrepreneurs together. SVEF then introduces these innovations into the classroom, along with instruction in math and science, subjects deemed necessary to build the area’s future workforce. For instance, the SVEF program Elevate Math capitalizes on research that shows a correlation between whether or not a student graduates college in five years and their mastery of Algebra II. During the summer of 2014, teachers were offered a week of intensive professional development and more than 1,000 eighth-graders received 75 hours of instruction to successfully complete Algebra I. Some students advanced a full year in their math studies. Chaudhry’s efforts to prepare young people in Silicon Valley for college and careers are transforming public education—and expanding the reach of SVEF. 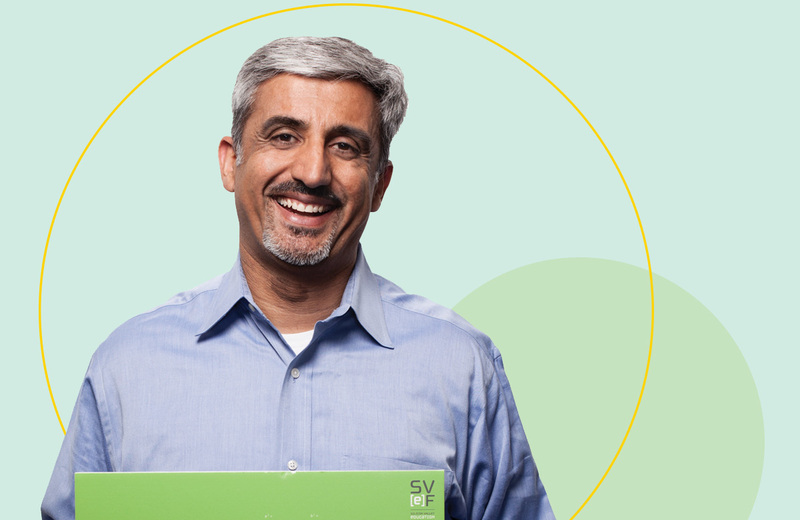 Chaudhry, who previously worked in management in the for-profit world, has applied his experience to grow the SVEF from three employees and a $150,000 budget to a 17-member staff with a $5.5 million budget and $4.5 million in assets.